Holiday's are a strange experience when living in a foreign country, no matter how hard one tries, the true spirit of the day cannot be fully captured without the company and traditions of home. Regardless, expats will continue to make every attempt possible to bring the holidays into their homes. For M'n'M that most frequently includes a more-elaborate-than-normal dinner with dessert and either a home full of guests or a few special and near by friends-who-are-now-family. Easter day was spent in much the same way the normal Sunday is for the Harrington duo, Skype call home (not as normal and routine as should be...but) Skype call home to the Allen's to hear about their upcoming Easter plans and life updates followed by Melissa working her magic in the Kitchen and Mike heading out for a bit of soccer. 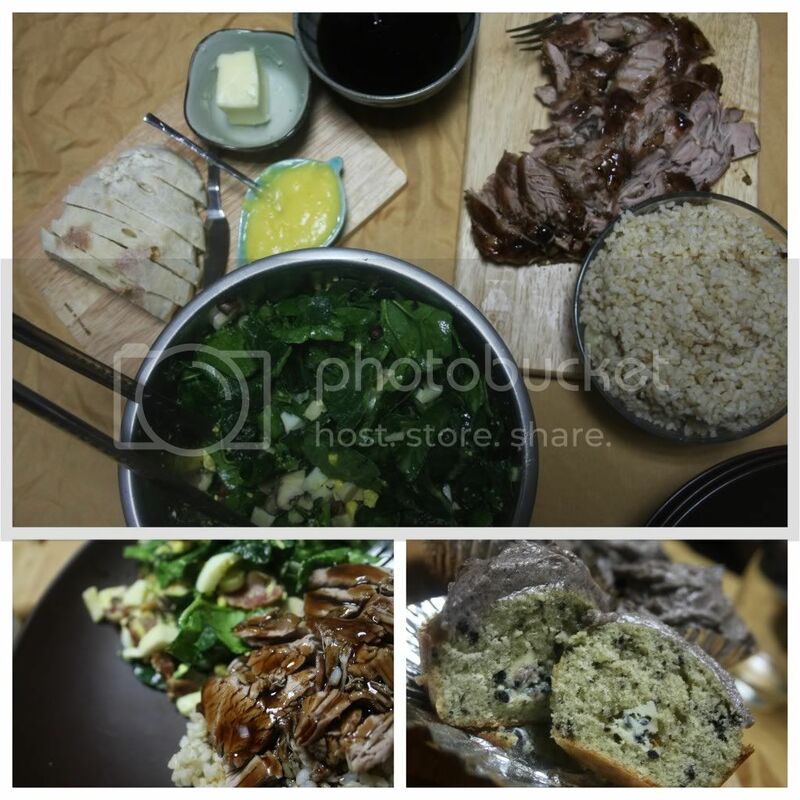 By the time evening rolled around, the couple as well as their dear friends Aaron and Harris were sitting down for a fine meal of home-made bread topped with home-made Orange Curd, Brown Sugar Balsamic Glaze Pork Tenderloin on a bed of brown rice and a nicely dressed Spinach Salad. To complete the impromptu holiday meal, each guest (and the hostess) enjoyed a Triple Cookies and Cream Cupcake. Happy Belated Easter family and friends!